Whether you’ve pulled a muscle in your yoga class or afternoon basketball game, or you suffer from long-term pain caused by an injury, back pain affects us all. In fact, when it comes to low-back pain specifically, researchers say that 70-85 percent of the population will experience it at some point in their lives. Arizona-based massage therapist Geoffrey Bishop says approximately 95 percent of his clients come to him with some sort of back pain these days, while still other therapists report that nearly all of their massage clientele–from children to seniors to weekend warriors–experience this particular pain. 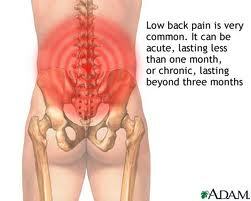 Experts say the cause of back pain can be the result of several factors. High on the list is stress. Hunched over a keyboard, late on a deadline, bogged down in worry–many are familiar with this life. When our body is stressed, we literally begin to pull inward: the shoulders roll forward and move up to the ears, the neck disappears, and the back tightens in the new posture. “It’s an armoring effect,” says Angie Parris-Raney, a Denver-based massage therapist who specializes in deep-tissue massage and sports therapy. She says this natural response to pain can create more problems when left unchecked. “That protective mode, with the muscles in flex, can even result in visceral problems,” she says, where the pain also affects internal organs. For the onsite clients Bishop sees at a manufacturing plant, the majority have some sort of back pain related to their work. While these workers have the option to sit or stand at their assembly station, Bishop says the repetitive motion they perform throughout their shift–with their arms and hands continuously extended forward–has most of them complaining of back pain. Fortunately, this employer has seen the value of massage for its employees and brought Bishop on as part of the company’s wellness program. In fact, an August 2005 issue of Consumer Reports cited deep-tissue massage as one of the remedies voted most effective by readers for back pain, while other research from the University of Miami School of Medicine and the Touch Research Institute showed that massage can decrease stress and long-term pain, improve sleep and range of motion, and help lower the incidence of depression and anxiety that often accompanies back pain. Another study published in the Archives of Internal Medicine found that massage significantly reduced the pain of moderately severe chronic back pain sufferers. After an hour of massage, once a week for 10 weeks, clients reported that their pain had decreased by nearly 50 percent. Most study participants reported that the relief lasted at least a year after their last massage session. For Parris-Raney’s clients, the length of pain relief provided by massage therapy varies depending on the condition they are experiencing. Getting on a regular massage schedule, however, has really helped her clients manage the back pain, she says. When they go past their normally scheduled appointment, “their bodies know it’s time to get a massage again.” Whether it’s just helping clients get through the day, or reminding the stressed-out office worker to breathe, Parris-Raney says massage can play an important part in back pain relief. Bishop says therapies that include movement, alignment, and isolation of injured tissues seem to work best for more advanced cases of pain that are a result of specific tissue damage. When it comes to back pain, there are a lot of options out there. Some are more effective than others, experts say, depending on the condition for which they’re being applied. Ultimately, massage, and its myriad benefits, might be a viable answer. For back pain sufferers, Parris-Raney says massage can work wonders. “Massage can help relax the body, relax the psyche, and improve a client’s range of motion and circulation to the affected tissues,” she says. Not only can massage help directly with the pain, but it can also make life a little easier, too. “Massage lets you tap into the parasympathetic system,” she says, “and tap into all the good hormones that help you sleep better and help you handle stressors along the way.” And that all helps in building a healthier back and a happier you. Karrie Osborn is contributing editor of Body Sense magazine. Originally published in Body Sense magazine, Spring/Summer 2010. Copyright 2010. 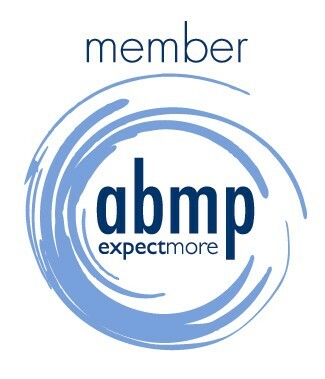 Associated Bodywork and Massage Professionals. All rights reserved. Gallery | This entry was posted in Acupressure, Deep Tissue Massage, Energy Healing, Holistic Healing, Hypnotherapy, Integrative Shiatsu, Massage, Massage Therapist, Massage Therapy, Our Center, Swedish Massage, Therapeutic Massage and tagged Archives of Internal Medicine, Back pain, Consumer Reports, Emotional Freedom Technique, massage, National Institute of Neurological Disorders and Stroke, North Carolina, United States. Bookmark the permalink. 14 Responses to Baby Your Back Pain with Massage!